Starting a remodeling project? Keep a few of these points in mind. 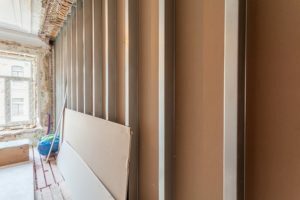 Whether there are a few projects around the house you want to take on or you want to complete a total home renovation, there are a few basic tips you should know before getting started. Any home project has its setbacks and challenges, so it is important that you know what you are getting into before you get into remodeling. It can be super tempting to skip to the ‘fun’ parts of the remodel, like picking new paint colors or fun fixtures, but there are some things you need to think about before you even begin. Perhaps the most important aspect of the home renovation is the budget. Even though it is very important to set a budget, many people end up going above their initial budget. This can be shocking, as there can be unintended surprises that spring up during most home renovation projects. The most important part of planning your budget is to add a contingency fund for any unexpected costs and make sure you fully intend to use it. Only dip into this fund for unforeseen issues and problems. You may have to factor in the cost of eating out if you renovate your kitchen, or you may even need to stay at a hotel for a few nights depending on the issue you stumble upon. Make certain that you do not go headfirst into a renovation before doing your research. Research your project on the internet whether or not you decide to go DIY or hire a contractor. It is even a good idea to talk to family members, friends, or neighbors that have completed the same kind of projects you are looking to do. They may be able to give you some good advice moving forward and help to uncover some aspects of the project you may not have thought of. While it is important to dream big regarding your next home remodeling project, it is important to not overstep your limits. Consult your budget and be realistic about what can and cannot be done. Consider some of these questions. How much time can you dedicate to a renovation? How much of the house can you afford not to use during the renovation? How many of your possessions do you need to pack away so that the renovation can proceed? All of these queries are important to consider before a renovation begins. Whether you know exactly what you want from a home remodel or you still have some questions, we at Johnson Lumber are here to help. Come to our Millersville and Edgewater locations and visit our stores Monday through Friday from 6:30 Am to 4:30 PM, and Saturday from 8:00 AM to 1:00 PM. Follow us on Facebook and Twitter for more updates and ideas for your next project. To contact our Millersville store, call 410-987-5200. Our Edgewater location can be contacted at 410-956-0400. This entry was posted on Friday, June 15th, 2018 at 10:21 am. Both comments and pings are currently closed.